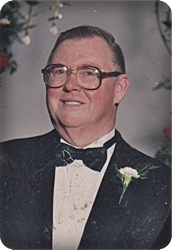 Ken Koon, age 81, of Sand Lake, went home to be with his Lord and Savior on Thursday, April 11, 2019. Ken loved music and enjoyed singing with his children. He was preceded in death by his triplet sons, and one of his twin daughters, Ronda Taylor; his parents, Eugene and Margaret Koon; and brother-in-law, Dan Arnold. Ken is survived by his children, Randy and Michelle Koon, son-in-law, Gary Taylor, Sandy and Ron Larabel, Carolyn and Jim VandenBerg; several grandchildren and great-grandchildren; a special friend, Belva Bixler; brothers and sisters, Tom and Joyce Mae Koon, Earl and Joyce Koon, Marilyn and Bob Kerner, Jane Arnold, Jackie and Nelson Speck; several nieces and nephews. A private memorial service was/will be held. In lieu of flowers, memorial contributions may be made to the Alpha Women's Center of Grand Rapids, 1725 Division Ave. S. Grand Rapids, MI 49507.